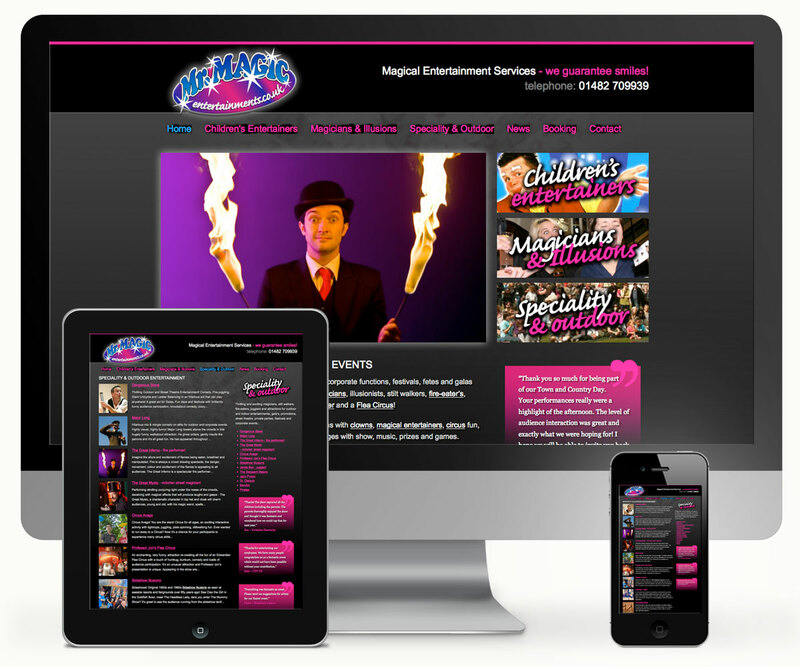 Mr. Magic Entertainments Website - 939 DESIGN, Hull, Yorkshire. Acts and Attractions for indoor and outdoor events, corporate functions, festivals, fetes and galas including, mix and mingle performers, close-up magicians, illusionists, stilt walkers, fire-eater’s, jugglers and balloon twisters even a Flea Circus! To find out more get in touch: telephone: 01482 627939, or send an email enquiry.